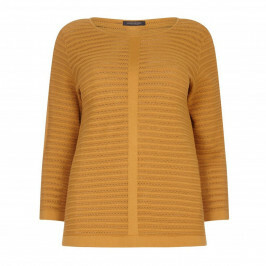 Introduce effortless style to your wardrobe with this latest by Marina Rinaldi. Stunning in a crisp white base colour, this knitted top comes with a beautiful lace stitch pattern. Ideal for smart/casual wearing with trousers and a pair of sneakers. 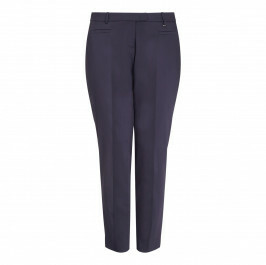 Alternatively, style with a pencil skirt or jeans. White lace stitch sweater. 100% Cotton. Hand Wash or Delicate Dry Clean. Model’s height is 180cm (5ft 11in), wearing a size M. For more information please call customer services on +44 (0) 208 455 0005 or one of our stores.